RIM CEO Jim Balsillie recently unveiled a new way for BlackBerry smartphone users to connect with one another and share multimedia content. BlackBerry Tag, which will be incorporated in the next BlackBerry 7 OS update, will allow users to share contact information, documents, URLs, photos and other multimedia content by simply tapping their BlackBerry smartphones together. BlackBerry Tag will also enable friends to instantly add one another as contacts on BBM (BlackBerry Messenger). CEO at Research In Motion. “BlackBerry Tag opens a new dimension to the BlackBerry platform that is powerful, simple and intuitive and we think it will be welcomed by both users and developers. 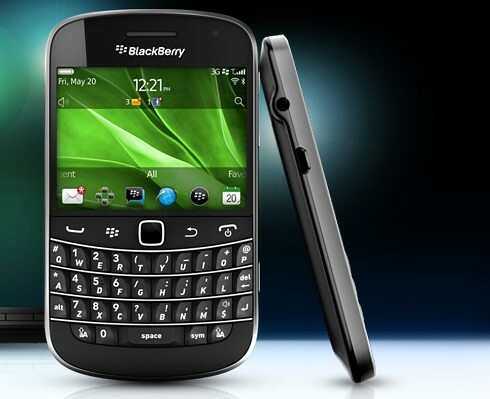 BlackBerry Tag takes advantage of Near Field Communications (NFC) technology included in the recently launched BlackBerry Bold 9900/9930 and BlackBerry Curve 9350/9360/9370 smartphones, and these are the first BlackBerry smartphones that will support BlackBerry Tag. One Response to "RIM Unveils BlackBerry Tag: NFC For BlackBerry Smartphones"